Beautiful, well cared-for home in popular Stone Bridge Estates! 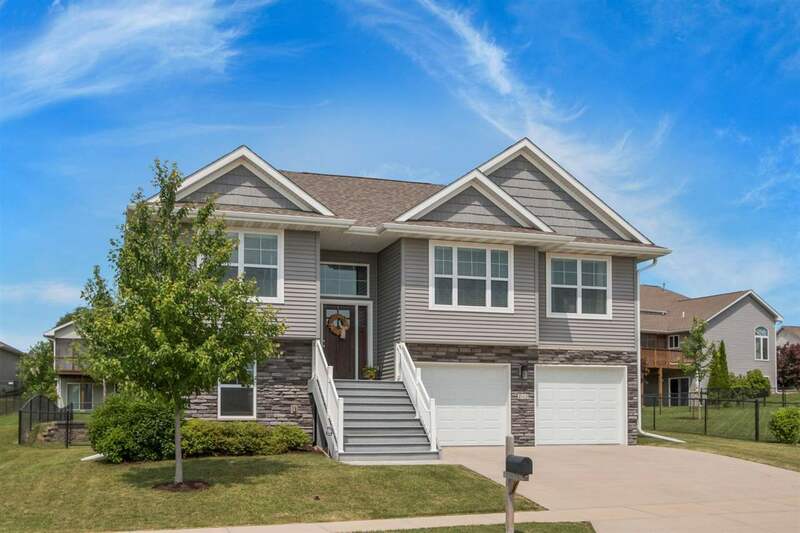 4 BR/3 full baths w/ ample living space inside & out! Lg kitchen w/ S/S appliances, granite counters, tile backsplash, soft close drawers, cathedral ceiling, wood floors, & bfast bar! Adjoining DR/LR combo w/gas fireplace & slider to deck w/stairs to yard. Master suite w/trey ceiling, lg w-in closet, bath w/double vanity, shower, & whirlpool tub! LL family room w/walkout patio, full bath, & bedroom! A lot to love in this great east side home!